We believe in one living God, revealed in Jesus Christ, who moves through all creation as the Holy Spirit. We affirm the Trinity—God who is a community of three persons. All things that exist owe their being to God: mystery beyond understanding and love beyond imagination. We believe in Jesus Christ, Son of the living God, fully human and fully divine. Through Jesus’ life and ministry, death and resurrection, God reconciles the world and breaks down walls that divide. Christ is our peace. We believe in the Holy Spirit, Giver of Life, holy Wisdom. The Spirit moves through and sustains creation, and transforms disciples. Wherever we find love, joy, peace, patience, kindness, generosity, faithfulness, gentleness, or self-control, there the Holy Spirit is working. Scripture is writing inspired by God’s Spirit. The Bible is our foundational scripture. 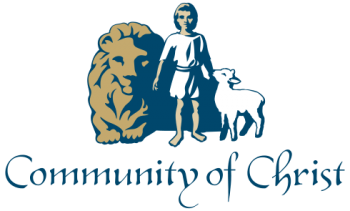 Community of Christ also uses the Book of Mormon and the Doctrine and Covenants, because they confirm the Bible’s message that Jesus Christ is the Living Word of God. When responsibly interpreted and faithfully applied, scripture provides divine guidance and inspired insight for our discipleship. The Reign of God is the coming triumph of love, justice, mercy and peace that one day will embrace all of creation. Jesus’ life and ministry were the living expression of this promise. He taught his disciples to pray for the kingdom’s full coming and sent them out into the world to be living emblems of that new creation. “Zion” expresses our commitment to herald God’s peaceable kingdom on earth by forming Christ-centered communities in families, congregations, neighborhoods, cities, and throughout the world. Every person is created in the image of God. We affirm without exception the worth of every human being. God blessed humankind with the ability to choose whom or what we will serve within the circumstances of our lives. We affirm the Living God is ever self-revealing. Above all, God is revealed to the world in Jesus Christ. By the Holy Spirit we continue to hear God speaking today. The church is called to listen together for what the Spirit is saying and then faithfully respond.